There are many delicious foods in this world: pizza and ice cream, houmous and cake, avocados and coffee. But that is not to say these things should be paired together. And yet, that is what people are doing. Behold, the ‘avolatte’. 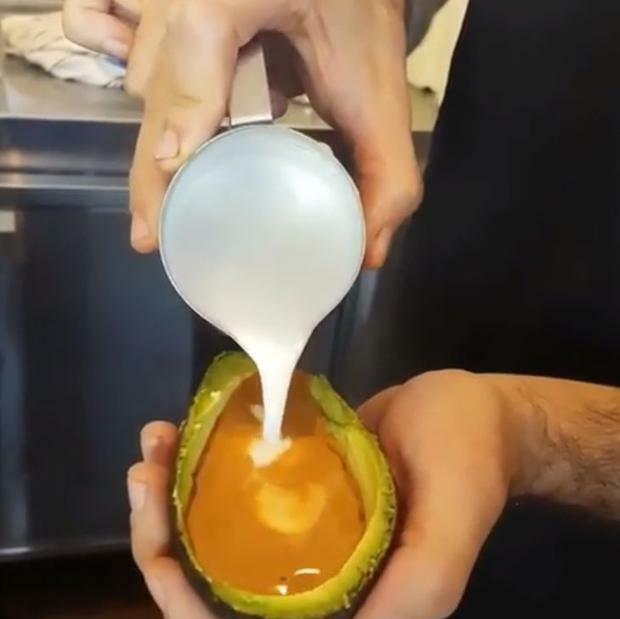 As the name would suggest, it is a latte served in an avocado skin. And it’s happening. Just why anyone would want to drink a latte from an avocado over a regular cup is unclear - would the coffee be infused with avocado? How would you hold it without a handle? Is it to save on washing up? One man recently posted a picture online of his avolatte from a cafe in Turkey, and there’s also a coffee shop in Australia (of course) serving the beverages, if they can be deemed as such. What with avocados and latte art both amongst millennials’ favourite Instagram subjects, it’s possible the avolatte could be the next big trend fuelled by the picture-sharing social network. Despite this, not everyone is a fan of the avolatte. What’s next? Cocktails served in banana skins? Smoothies in egg shells? It is quite the time to be alive.